Nextmegabyte delivers a professional range of services along with ITM Software. We’re here to help you keep track of every asset you manage, whether movable property or mechanical and electrical fixtures and fittings. From supplying hand held terminals and tablets with preloaded software for your own roll out, to a bespoke service with onsite training or custom reports, or an off the shelf program. We make sure you get the most appropriate solution for your needs. Do you look at production risks, investor risk or customer risk? Other than this all private and public entities are required to conduct an annual physical count of all fixed assets to verify actual assets in hand and value and ensure the accuracy of related financial records. One of the topics covered in the Final Asset Management Guide issued by National Treasury is that a comprehensive Fixed Assets Register must be prepared. Once the Fixed Assets Register has been prepared, there is need to continuously update with additions and disposals (maintaining a separate Disposal listing), the assets must be depreciated on an annual basis. More importantly there is need to estimate the remaining useful lives and residual values of the assets on an annual basis at the bare minimal. The fixed asset register shall be maintained in the format determined by the entity, which format shall comply with the requirements of any accounting requirements, which may be prescribed. 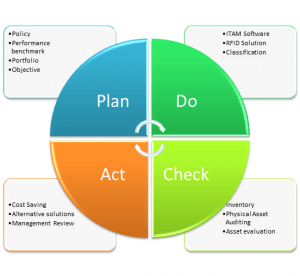 The first core component of asset management is the asset inventory. This component is probably the most straightforward of all. It is also, arguably, the most important as it underlies all other aspects of asset management. Knowing what assets you have, where they are located, when they were purchased, if they are still in use, etc. is critical to any organization. Business managers for a wide variety of reasons all connected with an out of date or non-existent asset register is a big risk , understanding the different meaning of asset management for business managers is important. IT: Creating inventory (software/hardware), barcoding, tagging, disposal, software tool, warranty, software compliance level. Site: Creating inventory, fixed and movable asset categorization, Equipment and machinery tagging, asset evaluation. Project: Asset movement, vendors and new branches. Finance:Physical asset evaluation, building database, providing vendors for insurance, charted accountant audits, depreciation report, compliance status. There are many processes and tools to support the management of the information on assets and the maintenance of the assets. Depending upon the size and requirements of the organization, tools from manual paper based systems, to spreadsheets, to EAMS (enterprise asset management systems), and ERP (enterprise resource planning) systems have been effectively used. The critical issues are to select the processes and tools most appropriate for your organization, and to use them effectively. There are many situations where the appropriate tools were not effectively used due to ineffective processes, ineffective training, or poor implementation and configuration. The selection of inappropriate tools may cause even more issues. These situations can cause poor quality or inaccurate data, as users see no value to the systems, inefficient processes with considerable manual intervention where the processes are not optimized for the system used, and duplicate data entry or use of manual entry when the systems could better manage the data. The final result is often a considerable investment in systems with little of the promised benefit achieved. How good is the information in your systems? Should you be getting more value from your systems? Where the firm’s assets are lying? Does these assets present the true values? Are the assets maintained properly? A true and fair statement of fixed assets. Results into better internal control and accountability. Better and simpler decision making process. To such a degree it aids to present a true and fair financial position of a firm, know the profitability level and future prospective of a firm. The places of placement of assets can be known with reduced time and efforts with the help of asset tagging. Individual identity of each asset. Reduced time and efforts in asset verification. Nextmegabyte delivers a professional range of services along with ITM Software. We’re here to help you keep track of every asset you manage, whether it is a movable property or mechanical and electrical fixtures and fittings. From supplying hand-held terminals and tablets with preloaded software for your own roll out, to a bespoke service with onsite training or custom reports, or an off-the-shelf program.. We make sure that you get the most appropriate solution for your needs. Working together, we guide you to manage your assets much more efficiently. This includes making the data visible by site, category, or room, along with many other categories and options, and accessible 24/7 from anywhere. Do you look at production risks, investor risks or customer risks? There are many risks related to asset management facing organisations today, with different probabilities and severity of outcomes. Often the implications of those risks are not fully understood. The negative outcomes related to health and safety, and environmental violations have gotten much more severe. As well as the amount of the fines increasing for violations, more jurisdictions are imposing jail sentences for violations. Other than this, all private and public entities are required to conduct an annual physical count of all fixed assets to verify actual assets in hand and value and ensure the accuracy of related financial records. One of the topics covered in the Final Asset Management Guide issued by National Treasury is that a comprehensive Fixed Assets Register must be prepared. Once the Fixed Assets Register has been prepared, there is need to continuously update with additions and disposals (maintaining a separate Disposal listing), the assets must be depreciated on an annual basis. More importantly, there is need to estimate the remaining useful lives and residual values of the assets on an annual basis at the bare minimal. Keeping track of assets can be a challenge to organizations, both large and small. Assets can move locations, get reassigned to other people, get replaced, etc. Management wants reports about asset allocation, usage and service history. Accounting needs accurate data for tracking inventory and calculating depreciation. Knowing what assets you have, where they are located, when they were purchased, if they are still in use, etc. is critical to any organisation. 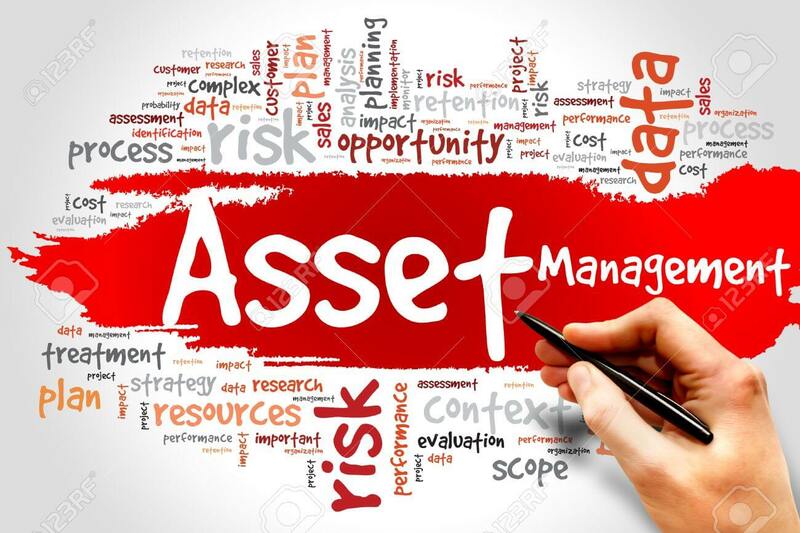 Business managers for a wide variety of reasons all connected with an out-of-date or non-existent asset register is a big risk, understanding different meanings of asset management for business managers is important. IT: Creating inventory (software/hardware), bar coding, tagging, disposal, software tools, warranty, software compliance level. Finance: Physical asset evaluation, building database, providing vendors for insurance, charted accountant audits, depreciation report, compliance status. There are many processes and tools to support the management of the information on assets and the maintenance of the assets. Depending upon the size and requirements of the organisation, tools from manual paper-based systems, to spreadsheets, to EAMS (enterprise asset management systems), and ERP (enterprise resource planning) systems have been effectively used. The critical issues are to select the processes and tools most appropriate for your organisation, and to use them effectively. There are many situations where appropriate tools were not effectively used due to ineffective processes and training, or poor implementation and configuration. The selection of inappropriate tools may cause even more issues. These situations can cause poor quality or inaccurate data, as users see no value to the systems, inefficient processes with considerable manual intervention where the processes are not optimised for the system used, and duplicate data entry or use of manual entry when the systems could better manage the data. The final result is often a considerable investment in systems with little of the promised benefit achieved. Where do the firm’s assets truly lie? Do these assets present true values? Using photographic equipment, scanners and verification software, Nextmegabyte inventory specialists go on-site, seek out each FAR asset, and verify its existence, asset type, location and description with reference to the updated records from ITM Software. Asset information for those assets that are not currently listed on the ledger, but are of obvious material value and consequently should be accounted for, are analysed and collected and the asset’s value appraised for inclusion into the ledger. Our proven methods and use of state-of-the-art technologies enable our inventory specialists to complete a highly accurate physical count with little to no disruption to your normal daily business operations. Does this asset present true values? Which assets are being underutilised? What are the critical assets? Get in touch with our team to benefit more from our expertise. Qualcomm is currently working on the acquisition of NXP Semiconductors. Why you should have NFC Phones?